Note 1: This is an update of an article that I wrote on a whim in December 2006, while I was on a break from business school at NYU Stern. It was published without update at Tekedia in July, 2011. 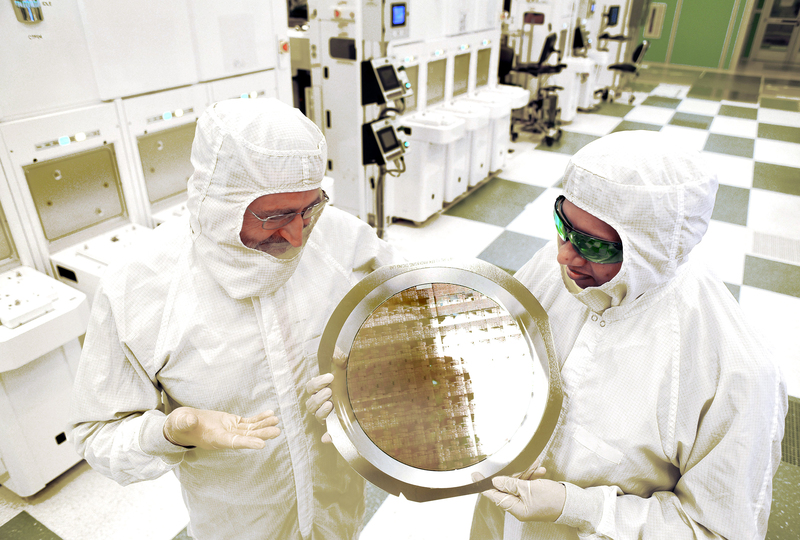 The announcement by IBM about its new 7nm chip prompted me to dig it up from my archives and update it to reflect more recent developments. Note 2: KEC Ventures does not specifically invest in nanotech startups, although in the past we have examined startups developing quantum crystals and other nanomaterials. The term nanotechnology refers to a group of scientific processes that enable products to be manufactured by the manipulation of matter at the molecular level – at the nanoscale. One nanometer represents a length of 10-9 meters – one billionth of a meter.2 Nanotechnology enables the manipulation of matter at or below dimensions of 100 nanometers. Nanotechnology draws from a multitude of scientific disciplines – physics, chemistry, materials science, computer science, biology, electrical engineering, environmental science, radiology and other areas of applied science and technology. In the “bottom-up” approach, nanoscale materials and devices assemble themselves from molecular components through molecular recognition – small devices are assembled from small components. In the “top-down” approach materials and devices are developed without the manipulation of individual molecules – small devices are assembled from larger components. Research into nanotechnology and its applications is growing rapidly around the world, and many emerging market economies are sparing no effort in developing their own research capacity in nanotechnology. Naturally, the U.S., Japan, Western Europe, Australia and Canada hold an advantage, in the short term. South Africa, Chile, Mexico, Argentina, The Philippines, Thailand, Taiwan, The Czech Republic, Costa Rica, Romania, Russia and Saudi Arabia have each committed relatively significant resources to developing self-sufficient local nanotechnology industries. More convenient to use in a broad array of applications. This means that processes that fail to provide results comparable to those available through nanotechnology will become obsolete rather quickly, once an alternative nanoscale process has been perfected. In addition, companies that fail to embrace and apply nanotechnology could face rapid decline if their competitors adopt the technology successfully. The United States Government has maintained its commitment to fostering U.S. leadership and dominance in the emerging fields of nanoscale science. In its 2006 budget, the National Nanotechnology Initiative, a multi-agency U.S. Government program, requested $1.05 Billion for nanotechnology R&D across the Federal Government.4 That amount reflects an increase from the $464 Million spent on nanotechnology by the Federal Government in 2001. Carbon nanotubes and other nanomaterial additives can be used to fabricate stronger, lighter materials for use in automobile bodies, helmets, sports equipment and other products in which stiffness and durability are important features. Researchers at Stanford University have killed cancer cells using heated nanotubes, while EndoBionics, a US firm, developed the MicroSyringe for injecting drugs into the heart. MagForce Technologies, a Berlin based company developed iron-oxide particles that it coats with a compound that is a nutrient for tumor cells. Once the tumor cells ingest these particles, an external magnetic field causes the iron-oxide particles to vibrate rapidly. The vibrations kill the tumor cells, which the body then eliminates naturally. Other applications in medicine and biotechnology exist. Cosmetics companies are actively engaged in the exploration of nanotechnology as a source of enhanced products. For example, to produce cosmetics that can be absorbed more easily through human skin and that exhibit longer lasting properties. Nanotechnology is applied in the garment industry to produce stain resistant fabrics, for example. Nanotechnology companies in the developing world are pursuing solutions to problems peculiar to the developing world – for example, an Indian company is working on a prototype kit for diagnosing tuberculosis. There is great potential for the application of nanotechnology to agriculture. It is not yet clear how nanotechnology will affect the health of workers in industries in which it is applied. For example, how should we assess exposure to nanomaterials? How should we measure the toxicity of nanomaterials? Public agencies and private organizations do not have a clear sense of how further progress in nanotechnology will affect the environment, or of the public safety issues that will accompany an expanded use of nanotechnology in industrial, medical and consumer applications. For example, what factors should risk-focused research be based on, and how should we go about creating prediction models to gauge the potential impact of nanomaterials? The complexity of the science that is integral to nanotechnology makes it a very difficult area to regulate. It is likely that firms involved in the pursuit of nanoscale applications in medicine and pharmaceutics will face long delays in obtaining regulatory approval for the wide scale use of their products. The complexity of nanotech-related patents could lead to delays in obtaining intellectual property protection for nanotech-enabled products. It is not yet clear how society can protect itself from the abuse of nanotechnology. The public sector needs to collaborate with the private sector in developing protective mechanisms to guard against “accidents and abuses” of the capabilities of nanoscale processes and materials. The average investor must remain keenly aware that firms involved in nanotechnology will have to assign significant resources to research and development. There is no reliable means of predicting the ultimate outcome of such activities, and the probability that any firm can maintain an enduring edge over its competitors is small. Investors should expect the mantle of leadership in innovation to change with a relatively high frequency. As such, pure-play nanotechnology firms will need to pay critical attention to means of sustaining market dominance that go beyond core competence in the science of nanotechnology. Nanotools – Hardware and Software used to manipulate matter at the nanoscale. Nanomaterials – Nanoscale structures in an unprocessed state. Nanointermediates – Intermediate products that exhibit the features of matter at the nanoscale. Nano-enabled Products – Finished goods that incorporate nanotechnology. There is no reliable means of predicting the results that heavy investment in R&D will yield. Following developments in the nanotechnology initiatives of the BRIC block of emerging market economies without committing any funds until a clear assessment of the future prospects of individual investment opportunities becomes possible. No debt, and positive cash flows, and evidence of an ability to sustain profits. Companies that supply corporate customers must not be too reliant on one customer. Founders and insiders should have a significant and increasing portion of their net worth at stake in the company, and a track record in multi-disciplinary research. Many nanotech companies face an up-hill task in converting promising research into products that can sustain a steady revenue stream. A considerable number of nanotech companies may be surrounded by “more hype than substance”. There is no guarantee that the price investors pay for an investment in nanotech will be adequate, once all associated risks are taken into account.